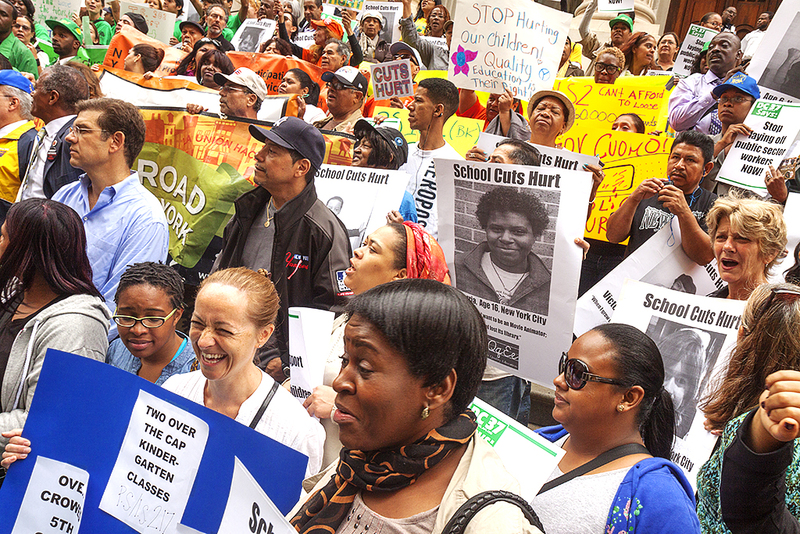 This protest, against state budget cuts to public schools, was at Tweed Courthouse, half a mile from the Wall Street protest. Though many of these protesters may not realize it, Wall Street is responsible for the bankruptcy at all levels of government, federal, state and city. In fact, Wall Street has bankrupted much of the world. It is a domino effect that seems to impact so many sectors. this is going to effect the kids lives.